True’s GDM’s come in a variety of shapes and sizes to fit your refrigerated merchandising needs. The LED lights and unique graphics draw your customers’ attention, driving impulse sales. 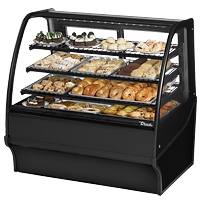 True’s display cases combine efficient, high volume merchandising and exceptional refrigeration with an elegant curved glass front for sophisticated presentation of high-end desserts and pastries. True’s TAC’s are perfect merchandisers for a grab and go setting. 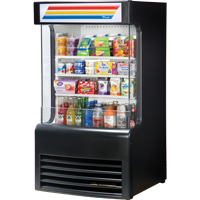 The open air design, along with the LED lights allow customers to easily choose the refrigerated beverage or snack of their choice. Take a look at our our showroom to see which True units fit your applications. 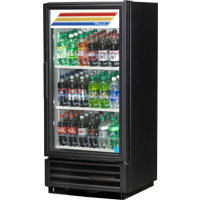 American-made commercial refrigeration built to exceed customers' expectations in customer service, quality, design, availability and performance.